Calling for Option/Preferences of Postal Circle from candidates nominated by Staff Selection Commission for appointment as Inspector posts in Department of Posts through Combined Graduate level Examination. 2016. 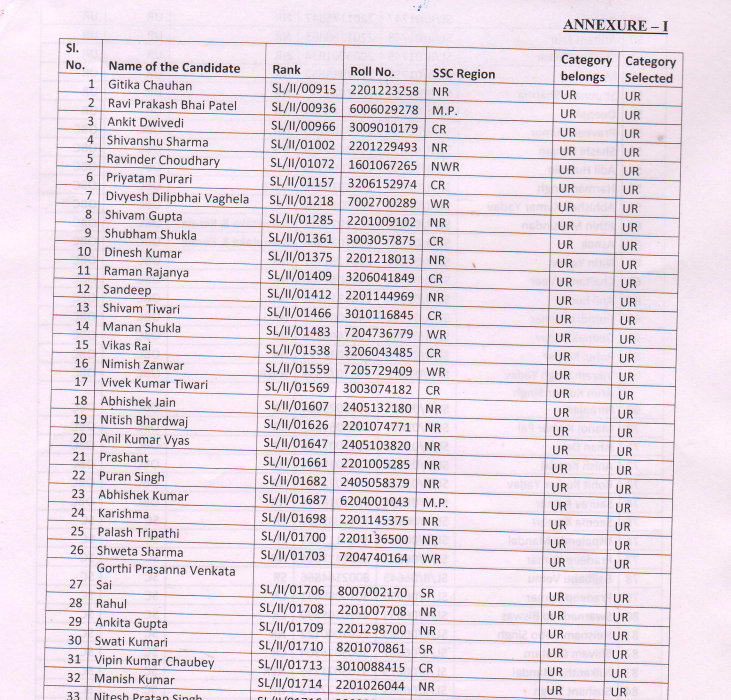 Based on the results of Combined Graduate Level Examination (CGLE), 2016, you have been nominated by Staff Selection Commission (SSC) for appointment'as Inspector Posts in Department of Posts in Level 7 of Pay Matrix. 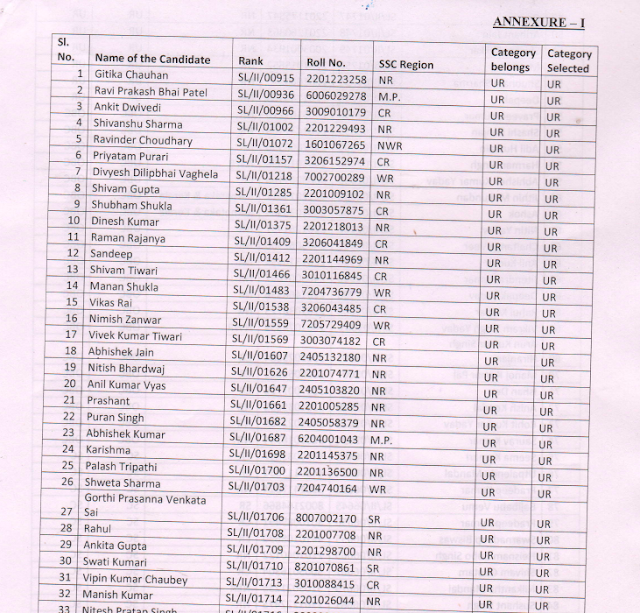 A list of candidates nominated by Staff Selection Commission is enclosed as Annexure - I. All candidates are requested to indicate their order of preference for postal Circle in the proforma at Annexure - III in the manner outlined therein. Tl1e duly filled-in option form (Annexure III) must be sent by eMail at sospb2dakbhawan@gmail.com and through Speed Post to this office latest bv 17:00 hrs on 21.02.2018, failing which it would be presumed that the candidate has no preference for Postal Circle and he/she will allocated as per criteria for al location.